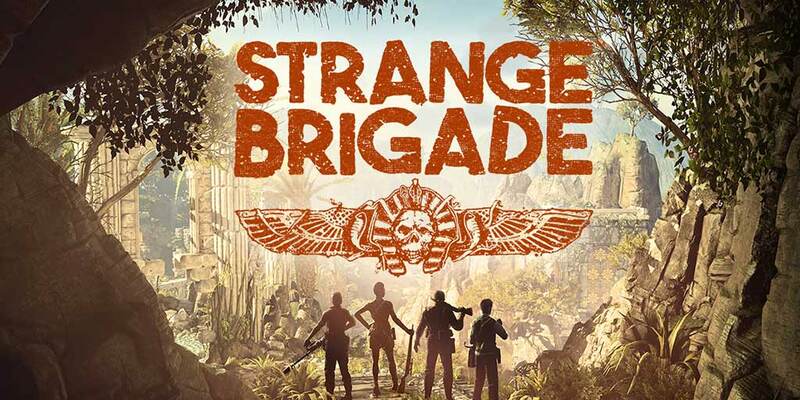 Strange Brigade Announced: 1930s-set Co-Op Adventure Game | Nerd Much? Sniper Elite series developer Rebellion has announced a new IP named Strange Brigade, which is being described as a new 1930s-set third person adventure game. We don’t have much along the lines of details for what to expect from the game, but we do know that you’ll choose one of four different explorers, each of which has their own unique superhuman abilities and weapons. We’re getting a serious Left 4 Dead meets ancient Egyptian civilizations, tombs, and mythological creatures, with a dash of League of Extraordinary Gentlemen thrown in the mix for good measure. Rebellion says that we’ll see more of the game next week during at E3, so expect some hands-on impressions shortly thereafter. Conceptually speaking, it’s an interesting idea that could potentially become a great co-op game. Our initial concern is that there won’t be enough content to give it some legs and longevity, as was the case for so many co-op games that have come before it. Either way, we’ll tune in until we learn more. Strange Brigade will be released on the PS4, Xbox One, and PC ‘soon’, and although we don’t have an official release date, we have a feeling ‘soon’ means shadow drop during E3 week. For more of the latest E3 2017 news, stay tuned to our hub here at Nerdmuch.com.